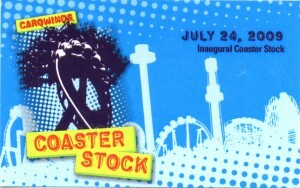 whootah.com » Blog Archive » CoasterStock 2009…What??? « Down By Avalon – Upcoming shows! The Whootah Crew attended the first annual CoasterStock event at Carowinds! Check out our new video, filmed and edited by Alan! Coaster Stock 2009 from radialmonster on Vimeo. This entry was posted on Monday, July 27th, 2009 at 6:51 am	and is filed under Videos. You can follow any responses to this entry through the RSS 2.0 feed. You can leave a response, or trackback from your own site.